Whether looking for Craftsman hand tools or a professional grade drill-driver, DG Ace Hardware Stores have the solution. 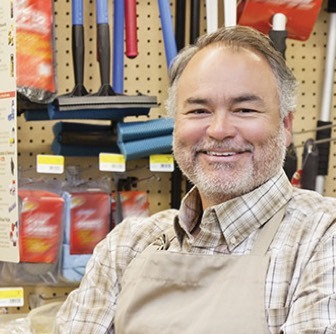 When looking for the right Human Capital Management tools, DG Ace Hardware turned to PayServ Systems for a unified solution to Payroll and Time Management. "With thrive there is one login to one database, so everything is simplified. I don’t have to go to different places, once I’m logged in I have instant access to what I need." DG Ace Hardware was founded in 1981 by the Schaefer family, with ties to the Chicagoland area and Sarasota, Florida. Since 1981, the family run operation has grown to 16 retail locations across three states with over 300 employees. These neighborhood hardware stores offer friendly convenience to the surrounding homes and businesses. A lack of integration between Payroll, Timekeeping, and spreadsheet based Scheduling, meant manual, time-consuming processes and increased likelihood for human error. Easy Payroll Processing – “The whole Payroll process and the set up of new employees is just easy,” said Leigh Ann. Self Service – Employees can view their schedules, pay statements and request time off from anywhere at any time online or through the mobile app. Reporting – Can customize almost anything. PayServ provides DG Ace Hardware with a dedicated Affordable Care Act manager. “They help us keep track of our information so we can maintain compliance,” said Leigh Ann.